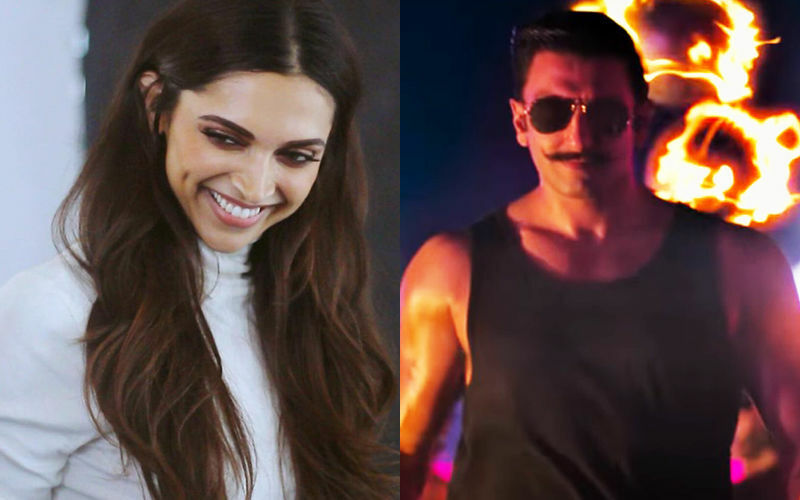 Ranveer Singh is going to be a giant superstar after Simmba. He has the body of Sunny Deol and the comic timing of Anil Kapoor," says trade expert Amod Mehra to SpotboyE.com- soon after watching the trailer of Rohit Shetty's upcoming Simmba. He has the body of Sunny Deol and the comic timing of Anil Kapoor," says trade expert Amod Mehra to SpotboyE.com- soon after watching the trailer of Rohit Shetty's upcoming Simmba. 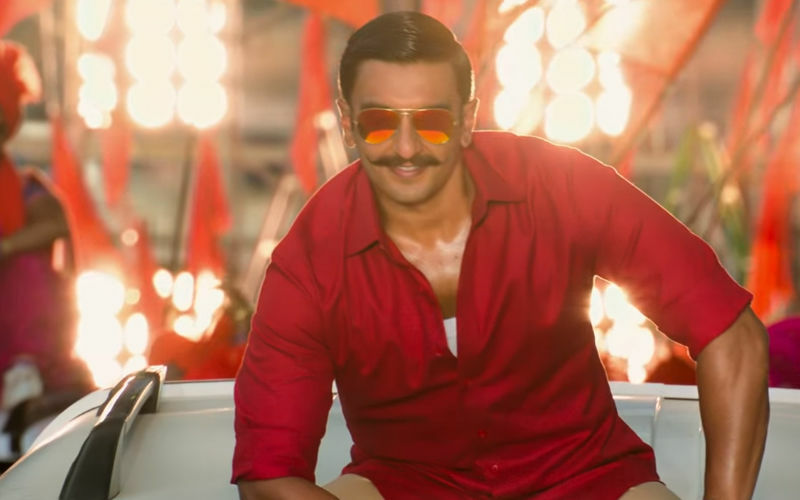 Another expert, Taran Adarsh saus that though it's early days to predict how much Simmba will amass at the box-office, he adds, "It is full-on masala. It has HIT written all over it. 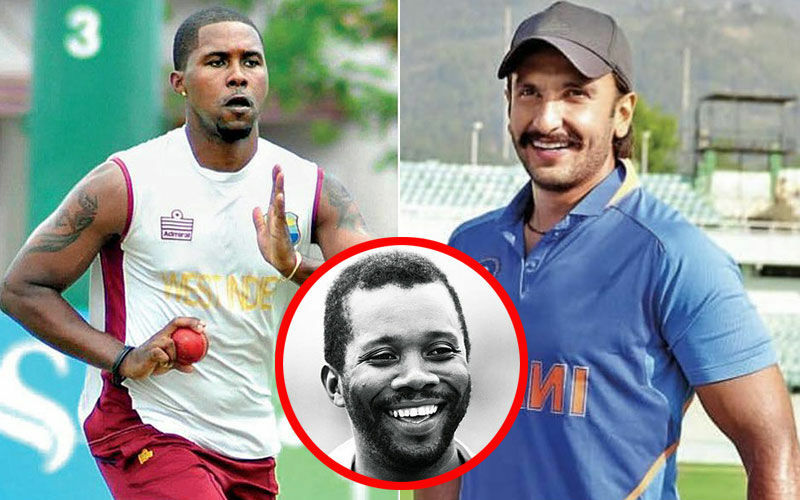 Ranveer plus Ajay, what more do you want?" 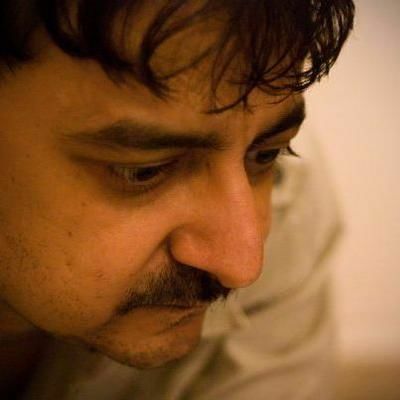 Exhibitor Akshaye Rathi chips in, "
But Mehra is not done on Simmba yet. The man is so euphoric that he says that he is ready to go to Dubai if the need be to see the film. He won't have to do that as Rohit Shetty and Karan Johar (producers) have made ample arrangement for it to release in umpteen screens in India on December 28. 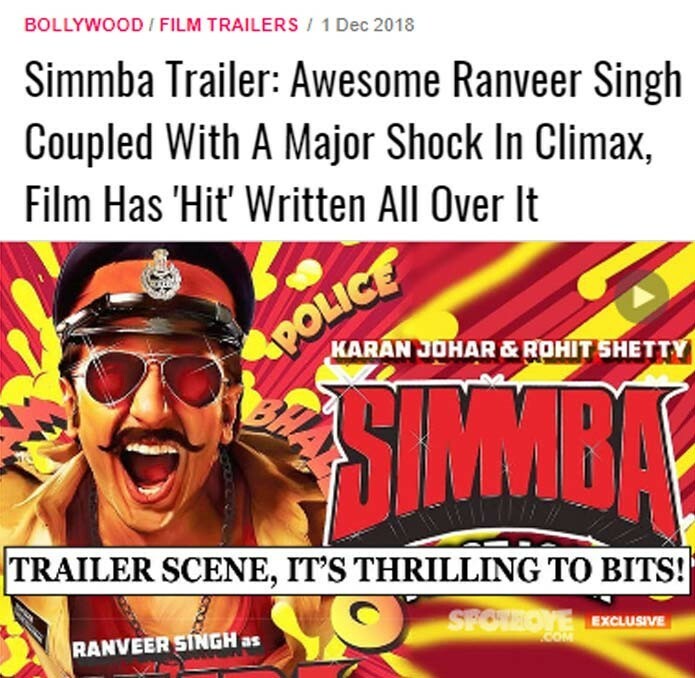 Adds Mehra, "Simmba will turn out to be the cinema we crave for, seetis and taalis. There is a huge audience for such stuff in our country and single screens in particular will make hay, apart from the fact that it will do very well in multiplexes too. I think it will collect about Rs 300 crore at the ticket windows." 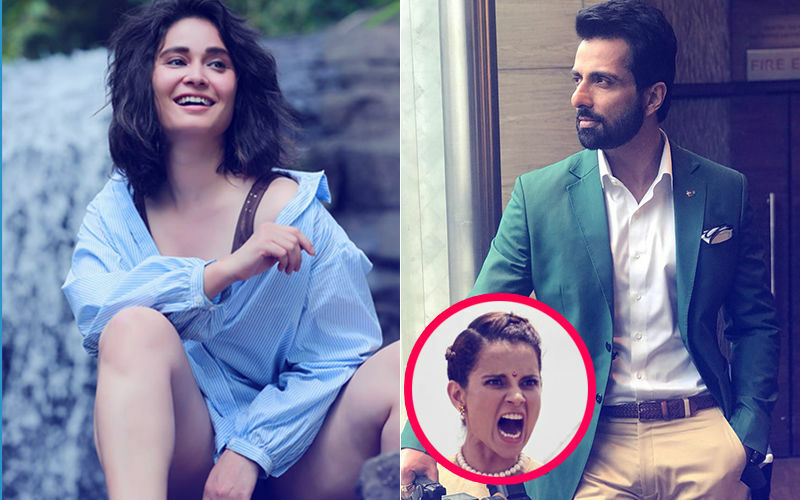 Rathi chips in again, "A 200 crore collection would happen for Simmba even in the worst case scenario." So Karan Johar, Rohit Shetty, Ajay Devgn, Ranveer Singh and Sara Ali Khan (her second film after Kedarnath which releases this Friday) can start dancing in the aisles. What is equally heartwarming is the fact that theatre-owners may soon have big smiles back on their face and spend a very happy New Year's Eve. 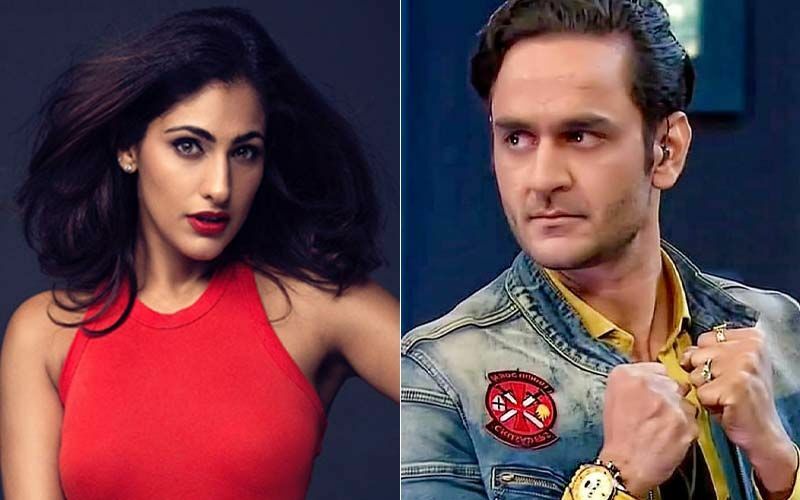 "I expect Simmba to get at least Rs 100 crore in the first 3 days itself," says Mehra. Yours truly had seen the trailer on Saturday evening at Rohit's office in Andheri. Was blown away seeing that it is a perfect-knit story, and got pretty excited when Ajay Devgn sprung up in the last scene. To me, it reminded of Lakhan of Subhash Ghai's Ram Lakhan. When I told Rohit, he smiled and said, Lakhan was more naughty." According to Mehra, Simmba reflects the flavour which was prominent in Manmohan Desai and Subhash Ghai films of 80s and 90s.